I’ll have a detailed review of the Samson Zoom H4n recorder in the next week or so. But I can already tell you there are some things that Samson hit out of the park on their latest recorder, while there are a few things I wish were better thought out. For instance, the menu system and button layout is much better than on the original Zoom H4. But the SD card slot on the side of the unit is way too easy to open by accident. But the most important thing is audio quality. I’ll have more audio samples to share over the next few days, but I wanted to post a little shoot-out I did between the Sony PCM-D50, Zoom H4n, and Zoom H4 today. As you can hear, all three of these recorders have excellent built in microphones. All three are also subject to a fair amount of handling noise if you jostle them around while using those built in mics, but the rubberized grip on the Zoom H4n makes it easier to hold than the original Zoom H4, which means less jostling. All three clips were recorded simultaneously and start out with me talking, followed by a little room tone. The clips end with me playing guitar. I seriously hope nobody listens all the way to the end all three times, because the guitar part – not so good. But I wanted to give you a sense of what music would sound like — if it sounded better. I should point out that the three recorders were laid out left to right. The Zoom H4 was on the left side of the table, and the Sony PCM-D50 was on the right. The Zoom H4n was in the middle and I was speaking directly into it, while the other two recorders were at an angle. Of course, the real question is how the H4n performs with external mics. I’ll have details on that soon. Update: I’ve uploaded some audio samples recorded using 2 external mics, the ElectroVoice RE50 dynamic mic and AKG Perception 100 studio-style condenser mic. Update 2: As has been pointed out in the comments, I accidentally used the wrong audio sample for the Sony PCM-D50 internal mic test. I’ve updated the post with the correct audio. OK — it is REALLY hard to tell the difference between the D50 and the H4n. I think the H4 clearly trails…. Sony 10/10 – very balanced across the spectrum. H4n 8/10 – has a very high sharp tone probably worst from the bunch. H4 9/10 – with built in mics this has a relatively low back ground noise; not to fierce. Sony 10/10 – Excellent. Very low background noise. Must say this a very good pre-amp. Zoom H4n 9.5/10 – The reproduction is very good, Execellent mids/high. Zoom H4 8/10 – slightly muffled but overall an acceptable performance. (I think the recent H4production with its redesign circuit board sounds quite better -no pulse noise either). Sony pcmd50 9/10 – Also sound good but slightly laid back in comparison to H4n. Sony 10/10 – Excellent. Very low background noise. Must say this has a very good pre-amp. Zoom H4n 9.5/10 – The reproduction is very good, Execellent mids/highs. Zoom H4 8/10 – slightly muffled but overall an acceptable performance. (I think the recent H4 production with its redesign circuit board sounds quite better -no pulse noise either). @Graham: I should point out that while my Zoom H4 is a first generation unit, I’m using a homemade battery pack to eliminate the pulsing noise. OK, I more or less agree with Riches that for music H4n sounds the best (highly detailed)but for human voice we have to give it to Sony pcmd50 (well controlled sound not over bright). With Zoom H4n the internal built in MIC is digitally controlled. So its about evens st-evens. External Dynamic microphone will be interesting test where I will guarantee that Sony will be hard to beat!! The H4n have too much handeling noise and background noise. I’ve only tested the build in microphones, and after reading all the ‘hiss’ talk on the other blog I could not believe that it was true. I really trusted the H4n to be what I wanted it to be. I can comfirm the noise is real, especially the handeling noise. I have listened to all tracks via heaphones. tbh the only areas i could tell the difference between each recorders was at the guitar point. The Zoom H4n (Hissy) and sounds very harsh not recommended long term listening via headphones. The Zoom H4 slighly softer approach but muddled – lost focus at certain points. The Sony Sounds very digital to my ears not to harsh and neither muddled – Very balanced and enjoyable. SONY WINS PLUS LOWER BACK GROUND NOISE TOO. I do agree with the last post through speakers the H4n seems to have more detail but in reality using heaphones its too sharp and tends to sound thin at times and very attacking losing bearing, so not recommended for long term listening via headphones – to be safe. Sony delivers it in much better fashion and H4 seems very disjointed. Sony wins first round using internal speaker; for me. I have also noticed this on loud parts during guitar sessions the Zoom H4n via heaphones sounds very agressive, thin, sharp (hissy) and is very uncomfortable to the ears – long term listening can probably damage your ears even at low volumes. On the other hand Sony has pro approach very like studio finish – frequency is very balanced across the full range. Zoom H4 is not even worth talking about; to describe this is that its lost in somewhere in space !! Now, I can see why Sony is expensive. OK, The Sony does sound better in all areas but I am still going to buy Zoom H4n because I need those features!!! To me H4n sounds over equalised (its like setting high frequency beyond the scale). Sony is smooth, more balanced and has more quality to it. Zoom h4 sounds fine at certain areas but seems to have wow/flutter like digital jitter – is the SD card not compatible or not tested; its chopping. I posted some samples of the H4n on my blog, for those interested (just click on my name). They certainly don’t match Brad or Niel Ewers’ level of professionalism, but they ARE unique. The Chemistry Building; has too much handing noise. Majority of samples recorded with this unit does not impress it seems to have unbalanced sound. The highs are too sharp (fake) and lows seems very lose (hallow). The mid is OK (seems to blend fine). I would only recommend this recorder if your on a budget. I would probably go for Sony for more reliable and real life like performance and avoid other the two. That’s not handling noise in the Chem building recording — it’s wind noise. It was extremely windy and the windscreen couldn’t shield all of it. I even mention it in the clip. Oh, and then there’s noise of the windscreen being removed once inside. 2 Jinerey. At the moment these units have only been tested with internal mics. But however wait till they get tested with external mics and i’ll bet u that sony will give your device run for the money. c how sony stacks up with the rest of the portable recorders using variety of mics. Hi! Brad MY H4 sounds better than your H4, why don’t you get it upgraded to recent standards from Zoom (its free of charge). Yeah, why are u carrying that battery pack when can have it modified for free of charge from “Zoom”. I’m listening through headphones and I can’t hear any difference between the Sony and the H4n. I don’t like the sharp treble on neither of them, but isn’t it possible to adjust it down a bit? I’m used to the Japanese sound-taste differing from ours, but I’m also used to them politely providing equalizing-options, how rude to omit it!! Its quite clear that H4n portrays a very high peak spectrum losing complete focus on low end. While the H4 sounds very scrambled. The Sony with internal mic ‘yet not perfect’ but nonetheless outperforms the entire Zoom family. Even if H4n was pumped with steroids it still no match to the mighty Sony pcmd50. So internal mics Sony leads and leads big. With External mics whether its Condenser or Dynamic; The Dynamite (Sony) will eat H4n alive. Wow, I’m so disappointed by the zoom h4n.. this is unbelievable.. I worked in a recording studio and now for a music store, I have pretty good ears not the best, but pretty good.. The Sony sounds the best, it’s the most balanced, than, lots of you will disagree, but the h4 is the close second, and the sound of the h4n is just awful, it sounds thin, no bass, and harsh in the highs.. I’m very disappointed, I had lots of expectations. This said, I’ll wait till we get them at the store (Canada’s dealers don’t have it yet) to make my own tests with the xlrs etc, but there’s no doubt that recording with the h4 and the sony’s built in mics, you get a much better sound quality. For those who say the h4 is awful, put a decent pair of headphones and be honest, you will hear right away how bad the h4n sounds compared to the 2 other ones. Just my 2 cents. Cheers! None of these sound the best through the 3 different sound systems I played them through. All 3 of these sound good for the money, and unlike others I don’t find one head-and-shoulders above the other. That being said, if you need a multi-tracker, UNLESS your ears hear such a difference in favor of the H4 or the Sony, then your decision is made. If you don’t need a multi-tracker, remember the sound system (not to mention the source material) can give you different results. I have the H2, and am pretty happy with the recording quality. However when trying to use it as an audio interface on my mac book, I run into problems. All of a sudden during recording, noise with just come blasting back and the meter is all the way in the red. Years ago I had an M Audio USB interface which had the same problem connected to my PC. So I think this a USB problem. (first, sorry for my bad english, I’m Brazilian Pro Musician). All of us were “deceived” with these samples above !! I realized this failure only now !! Check out!! The above sample of the Sony PCM-D50 is exactly THE SAME sample of the Zoom H4 posted !! I already had realized that they were very same sound, now I could prove that. The are the same file !! See the number of play reproductions from both, always the same !! Or simply click in the Menu button inside the Audioo’s square of each one, and see the URL of them, again: the same !! Summaru, the same files !! Do not you realize that Brad??? I hope that this fault does have been deliberate from your part. Ps. Sorry for my various exclamations ( !! ), but I stayed unresigned with that !! NEW LISTENERS, DO NOT CARRY THE SAMPLES ABOVE IN CONSIDERATION, UNTIL THE OWNER DO NOT CHANGE THEM TO SOME CORRECT NEW ONES !! Really, the H4 sample and PCM-D50 sample, are the same exact file. So, besides the change of the samples, I think all the comments above should be removed as well, because some of them comment exactly about the difference between these two recorders (H4 & PCM-D50), when actually they are the same recorded file. Let your ears work, and not the brand. Brad, does this duplicate file refer to which real recorder? Sony PCM-D50 or Zoom H4? Which of them really captured that sound? I’m so sorry about that. It looks like you’re right. I accidentally pasted the same audio embed code twice. I’ve updated the post with the proper code. What you were listening to before was the Zoom H4. Now the Sony PCM-D50 internal mic test has been added. Sorry about the mixup. I’m surprised I didn’t notice it earlier. Ok Brad !! Thank you very much, for your attention, and by the change of the Sony sample today !! 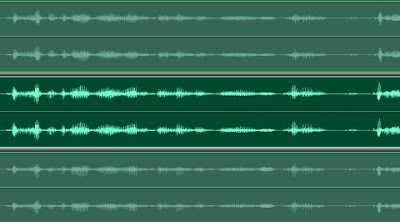 And sorry for anything, but someone had to detect and to talk about this (fatal) failure, regarding these 3 audio sample comparisons !! So, now, that means that all the comments above about the Sony PCM-D50 done BEFORE this date (April 20, 2009), are not valid, I’m sure ?? In other words, the Sony sample never was there !! It was the Zoom H4 !! So, Brad, in my opinion, I think all the comments above should be removed, because some of them comment exactly about the difference between the Zoom H4 and the Sony PCM-D50, when actually the Sony sample never really was there !! Ps. In this Zoom H4n video below, the guy playing acoustic guitar (on left) is from Brazil !! Your name is Kiko Loureiro. Check out this Zoom H4n video!! Brad, this is SO helpful. Thanks VERY much. I’m still in the early stages of my purchase decision, but this has aided in informing me. One thing I’m not absolutely clear on: can the H4n record DIRECT to a computer DAW like the H4 reputedly can? I was looking at Samson’s info-pages and it says the H4 is the “only” one that can do that, so I’m puzzled. Thanks in advance. I’m trying to figure out how to connect the Zoom H2 with my computer (an iMac, OSX 10.5.6). The Zoom site says that beginning with OS Leopard you have to download and install an upgrade, but all I get in my Zoom H2 window is an “ERROR. SHUT DOWN MACHINE” response. I’ve noticed that unzipping the downloaded file–“System.Bin”–appears merely to produce another zip file–“System.Bin.cpgz.” Nothing resembling the downloaded file shown on the Zoom site. Also, I’m unclear about one thing: if I successfully install the upgrade, is it good only for the SD card that’s in my recorder at the time of the installation? In order to use the H2 with the current Apple OS system, is it necessary to perform the download and installation with each new SD card? Wow, if the last sample is the Sony PCM D50, it doesn’t sound as good (voice) as the H4n or H4. What is your opinion? Hello I'm Patrick, a sound engineer from Switzerland. Well, Yes the H4n is much better than the H4. If it has mor bass on the voice than the others, it is more likely because it was in front of the mouth. H4n and D50 have to my ears a good sound, much better than the H4. i've tested the H4n myself, and the stereo image is VERY GOOD on both 90 and 120 position. The hiss seems much lower on the pcm-d50!!! (listen the beginning with a good headphones: there is ot much doubt!). The same with external mics.Thank you for your recordings, it helps a lot. As the quality is very important for me, and I won't use phantom power, I will buy the Sony without an hesitation. Thank you! – the H4n mics are just in front of the audio signal, while the sony and H4 are on the side. I'm sure that these 2 facts are changing the quality of recording, and make the comparison difficult. In this configuration, the Sony PCM is first, then the H4, then the H4n (too sharp, and noiser). This was pure awesomeness.. all of you who INSISTED the sony sounded better got MAJOR egg on your face.. It was the EXACT same file as the H4 yet you ALL insisted the sony sounded better.. It totally goes to show how people put BLINDERS on for brand loyalty.. enjoy paying buttloads of more money for fabricated peice of mind.. Someone said the comments should be removed before the point the samples were checked, "because some of them comment exactly about the difference between these two recorders." In my opinion, the (unintentional) experiment which is documented in those comments is far more important. People were describing, in a seemingly confident manner, detailed differences that just weren't there. If you want to remove the comments just to save the face of someone who claimed to hear a difference :), just change the poster's name or whatever. But the comments themselves now serve a good purpose of demonstrating how powerful "audio placebo" can be, and how believable and confident the comments written based on it can be. I absolutely LOVE the reality of the situation – much the same as "Monster cables" and everything else… Absolutely awesome. I personally find the Sony considerably less warm and do not find the guitar sound appealing. The H4n seems marginally more clear but the gain seems a bit different than in the H4 sample. Which gain setting did you you use in the H4 and H4n? I have been stuck between the H4n and the D50 for some time now and this blog is the perfect find for me to compare the two. Thanks Brad for the comparison!! After listening to the files(i did not pay much attention to the H4 as im not interested in it), I felt that the D50 was much more 'airy' with an extended hf response but somehow lacked the bottom end on both the voice and guitar. The H4n somehow was a little shut in but felt more warmer and pleasing to the ears. The lows also sound more rounded and fuller. I think the choice now rests between what kind of sound you subjectively prefer. Somehow id like a bit of both!! But I have to make a choice and my money goes to the H4n. Just sounds so much fuller on the guitar. Just in case you are wondering, I heard this through and m-audio audiophile 24/96 card, NAD monitor series 1000 preamp and Ultrasone Proline 650 headphones. Reddit.com is laughing at you guys. Congrats on the retard fame. For several guys who work with audio for a living this is quite a good laugh. Maybe you need a new career douches. Oh, the importance of blind tests in the audio field (or even double-blind if you can manage). spotting the difference on 2 same files. good job ! shows what a hack all this audiophiles market is. same thing with wine, same thing pepsi/coke. it's all the same !! i'd like the blogger to acknowledge the situation and stops its blog. While we know that everyone is having a good laugh over this on the internet, please do not involve the blogger in this. He has been kind enough to test the recorders for people like us who would like to buy one of them. He has acknowledged that he committed an honest mistake over the files and has corrected the error. It is the people who have made the comments who are at fault. We are having a good laugh ourselves over this. But this in no way undermines the work that he has done. And if you have half decent hearing you CAN clearly hear the differences in the recorders. While some of the people in the comments may be self confessed audio nuts who are blinded by marketing, there are serious audio engineers too who really know what they are doing and what they hear. So while you may be free to have your bit of fun, please don't insult anyone over here, specially not the author. Thank you Brad, once again, for your exhaustive review. Well, to my ears, the H4n sounds the best, but I am not sure if that is because the record levels were slightly higher on that machine. Everything seems richer and more "present" – the Sony sounds very clear, but not deep and bassy. I am actually relieved, because I have the H4n arrriving in a couple of days and I was nervous that I would feel I made a mistake – not so on the basis of these tests. Thanks for the review. I'm sold. Undoubtedly, very good internal mics. Thanks Brad, they all sound very good to me and having already ordered the H4n to replace my discouraging H2's small screen and 'control' buttons and menu, reading and listening to your comparison's gave me a good level of comfort in having made an OK choice. More than adequate for recording the accordion sounds I use it for. I'm really grateful for the comparison. I started with a Zoom H2, then went to the Sony D-50. When the H4n came out, I thought that maybe I'd made a costly mistake, but listening to the two here, they're so close I'm happy to stick with my Sony. Incidentally, the H4 may not be as good and accurate as either of the more expensive models, but in some respects it's a more "pleasing" sound over the long haul. Also, for interviews and announcing, both of the pricier models have awkward mic placement. Nothing was said about build quality–ruggedness, etc. I'm wondering if, bearing in mind the couple hundred extra for the Sony, whether that favors one or the other model. The Sony sounds a bit thin and tinny to my ears. H4n for me! I'm seeing the Zoom Q3 going (on Amazon) for $249 new and $199 refurb (with warranty). If I'm reading Zoom's promo material right, the Q3 uses the same mics as the H2n. Assuming I'm not interested in purchasing a device for mixing 4 channels along with recording them, is there any compelling reason NOT to purchase the Zoom Q3? I would get comparable audio plus video (admittedly, not HD video) for up to $100 LESS than the H2n. It seems like such a no-brainer that I can't help but feel I'm missing something. Got my numbers wrong. Zoom claims the mics of the Q3 are the same as the H4n, not the H2. An even better reason to choose the Q3 over the H4n. To my ear H4 is the absolute winner for voice. At least for male voice as in this comparison. Rich, nicely colored, fat bottomed; the voice has balls with it. But that advantage turns into problem when it's about recording music – the guitar sounds too boomy. H4n is a winner here. Crisp and clean. I am quite overall disappointed with Sony, especially minding the price – thin, shallow and weak. Yet slightly below the others in terms of noise introduced. H4n for music, H4 for voice will be my vote. Just bought the H4n!! Recorded a few voice overs on it and it was pretty damn good for the price. Just for kicks played it in a full blown re-recording theater and the result was superb… a friend of mine who was mixing there could not believe that the recording was made on the H4n! While there can be better recordings, for the price this recorder is brilliant!! Oh ya and Brad's right about the wind noise… so i went ahead and bought the 'furry thing' wind jammer and voila!… Incase anyone is looking for one of these, I bought the 'Eliminator' from http://gigwigwindscreens.com fro about $24 with free shipping. Oh ya and one more thing. My recorder does not seem to have the card slot door opening problem that Brad seems to have. Guess Samson have been able to solve that problem. So thats one less negative remark then! Although one thing that bugs me slightly is the seriously long loading time when using a 16GB card. But thats the only complaint i have for now… Will update as I use the recorder a little more. Disappeared, the 3 samples above. It looks like Audioo, the service I used to embed the audio files might be making some changes. Hopefully the audio will be back soon. Where are the 3 samples above? Please Brad, please. Thank you very much! So where have the audio samples gone? I just see "Audiooo" images at the top, but no hyperlinks to audio files! Well it's getting to the end of the year……. I didn't see the recordings, they are definitely gone! BTW, I loved this whole post. I bought the H4 the day it came out and made some good use out of it. I record strictly voice and am a bit disappointed in the coldness of the recordings when using the internal mics. I bought it specifically for use with an AKG 414 but every time I want to use the AKG I end up pulling out the Lexicon/Omega which gives me a very warm quality that I like a lot. Now seeing the H4n I thought that maybe I should own that instead, so I had much interest in the difficulty that was expressed in this particular blog. I was so impressed with everyone's ear hearing these subtle differences yet to find that they were imagining it all was very beneficial to me. I thank you for leaving the post to be found for it's honesty and integrity. Still a bit of wonder if I should just sell the H4 & get the H4n or just accept what I have, after all I do have the lexicon/omega. I should do some tests myself with the AKG & H4 using the computer as interface but when I go that far I say Why? when I know the Lexicon/Omega will be better. I bought the H4 for Phantom power & perhaps it will suit me in the field one day with my AKG & H4. Where are the 3 Audioo's samples above? They are unavailable for 6 months. Please embed them again… Please. The three samples above (from "Audioo") disappeared almost 6 months ago. Couldn't you embed the files again? I'm a beginner. How can I open the recordings? Brad, this is SO helpful. Thanks VERY much. I'm still in the early stages of my purchase decision, but this has aided in informing me. One thing I'm not absolutely clear on: can the H4n record DIRECT to a computer DAW like the H4 reputedly can? I was looking at Samson's info-pages and it says the H4 is the "only" one that can do that, so I'm puzzled. Thanks in advance. I can play the audio samples. What plugin are you using?